The failure of the Opposition to support the Government’s amendment of Article 1(2) of the Federal Constitution SHOWS THAT THEY ARE NOT COMMITTED TO THE REFORM AGENDA. As a Malaysian, it has been particularly painful and disgusting to see just how far BN opposition MPs derailed and manipulated the Malaysian Agreement 1963, to suit their own political agenda. Last night was historic as the Pakatan Harapan government raised a motion to reinstate the equal status of Sabah and Sarawak and to recognise this equal partnership in the formation of Malaysia. This was to restore the original Malaysia Agreement 1963 where the Borneo states of Sabah and Sarawak commanded equal stature and rights as any other state. It was a first and important step to right a past wrong in our history with regards to the 1976 amendment to Article 1(2) of the Federal Constitution, which took away the rights of Sabah and Sarawak. Last night, 59 Opposition MPs from GPS, BN and PAS abstained from voting for the amendment, thus denying the Government its two-thirds majority needed to realise the motion. This shameful display by GPS, Barisan Nasional, and Pas has resulted in a missed opportunity to restore the rights of Sabah and Sarawak. These MPs were blinded by their political interests and have forsaken the struggles and aspirations of the Rakyat of Sabah and Sarawak. 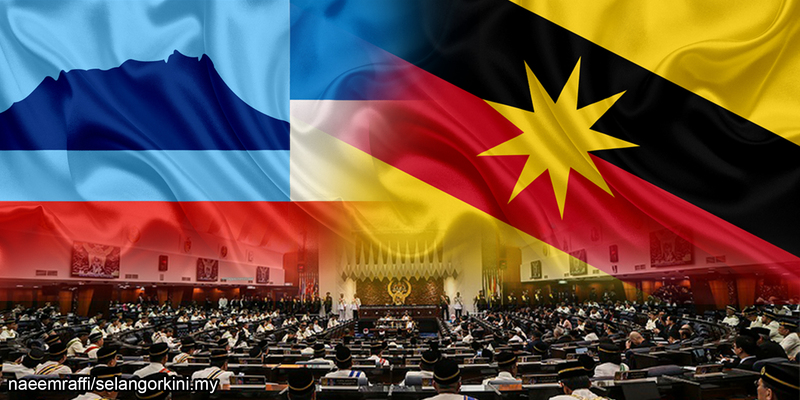 The Opposition frustrated the motion by introducing a counter motion insisting that the proposed amendment be referred to a Parliament Select committee to ensure that all issues related to the rights of Sabah and Sarawak be resolved before amending the constitution. The counter motion was defeated. These were delay tactics employed by the Opposition and they failed to realise that the details and implementation of Sabah and Sarawak’s rights can still be resolved even after the Pakatan Harapan’s motion is passed. The road towards equal status of the states of Sabah and Sarawak has to be seen as a work-in-progress and if in the future more amendments are required they can still be put through the Parliament. After 56 years of struggle to gain equal status, the amendment proposed by PH can set in motion negotiations to right the wrong in Sabah and Sarawak. The obstruction by GPS, BN and PAS clearly showsthat they are not for the reform agenda. Despite their chest thumping to fight for rights of Sabah and Sarawak, these political parties and politicians are still boxed in their narrow perspective and self-interest while the rights of the Sabahans and Sarawakians is merely collateral damage. By objecting or not voting, they have effectively retained Sabah and Sarawak as associate members of Malaysia.